Your subconscious is a bit like a savant. It’s brilliant in some ways, but not too bright in others. Think of it as a computer with a vast store of information. It wants to help you, but it needs simple instructions. So how can you take advantage of this powerful resource? Make a request of your subconscious mind. While lying in bed at night, tell your subconscious what you want. Write it down. There’s something more concrete when you take pen to paper. It also engages your brain at a higher level. Read the request aloud five times. Write your request five times and then turn off the light. Imagine yourself being successful. In our example, how will you feel when you find and implement these three creative ideas? How will your life and finances change? Repeat steps one and two in the morning. It will only take three minutes. You can do it. Of course, you won’t be turning off the light when you’re finished. It’s time to start your day! Pay attention. You’ll find your subconscious feeding you solutions over the next few days. It’s important to pay attention to them. Write them down. Thank your subconscious for the information. Act on the information. This is the biggest sticking point for most people. We love to gather information, but fail to act. Use the ideas that are presented by your subconscious. If you fail to act on them, you’ll eventually stop receiving them. No one likes to be ignored, including your subconscious! Even the smallest action can have a big impact. Avoid being like everyone else that ignores their great ideas. Be patient. While your subconscious can present you with advice very quickly, implementing habit changes can take weeks. For example, if you want your subconscious to assist you in changing your diet and exercise habits, you might not see any progress for a few weeks. Be patient. 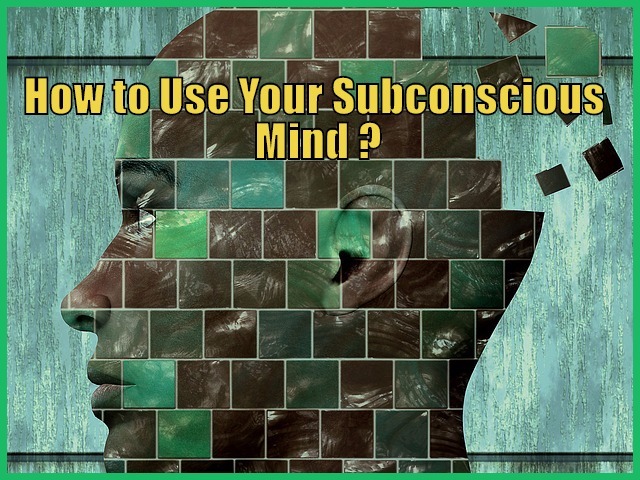 The subconscious mind is a powerful tool that few use to their advantage. It’s been suggested that your subconscious can consider billions of possibilities during a night of sleep. The information your subconscious provides is very high quality. It’s the best your brain has to offer from billions of options. Why aren’t you using it? Start small so you can experience a few easy successes. The confidence you’ll gain will be beneficial when making requests that require more time to fulfill. Your subconscious mind is always busy, so ensure it’s busy working on the things you desire! 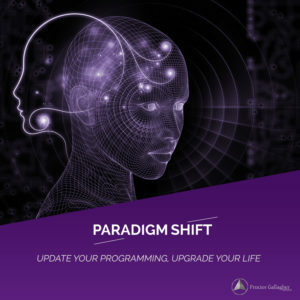 Read my (P)Review Bob Proctor’s Paradigm Shift LIVE Stream Seminar. Make a Quantumleap with reprogramming your mind -and watch the Live Stream Summit “Paradigm Shift” by Bob Proctor!